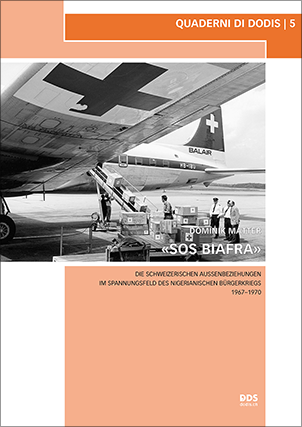 This new publication may be of interest to readers of this blog: SOS Biafra by Dominik Matter is an analysis of Swiss foreign relations in the context of the Nigerian civil war (1967–1970). «SOS Biafra» was the International Committee of the Red Cross’s appeal to the public, in May 1968, to support the relief mission in the secessionist area, which was completely isolated. 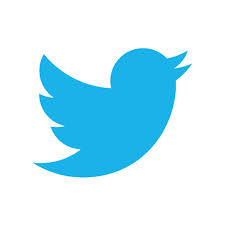 Besides such public appeals, it were images of starving children that temporarily brought the war and the impending humanitarian crisis in Nigeria to the public attention in the West. Swiss authorities faced numerous political challenges related to Biafra: the ICRC mission, the Bührle affair, the so-called “Biafra propaganda” by the Geneva Markpress agency, or the petition for the recognition of Biafra all indicate the complexity of the subject. 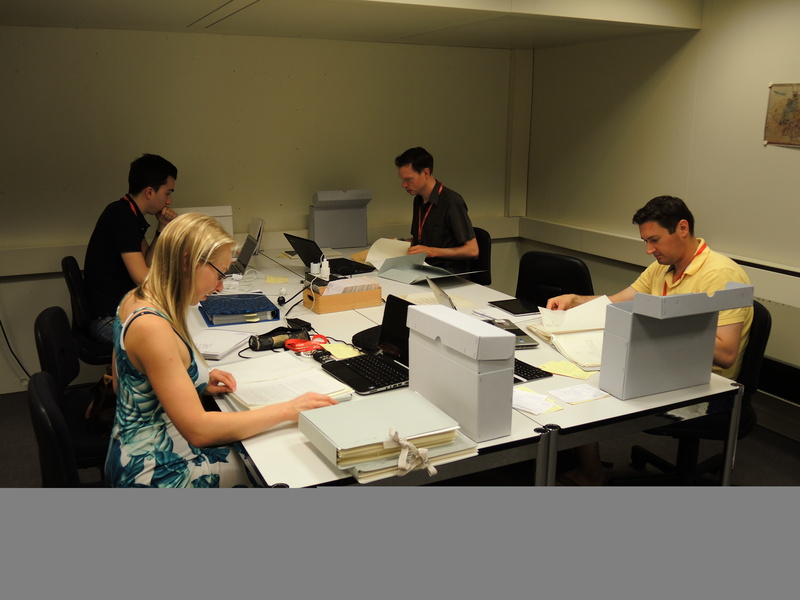 On the basis of this constellation, Dominik Matter traces the interaction between government and non-government agents in the development of Swiss foreign relations in the context of the Nigerian civil war. 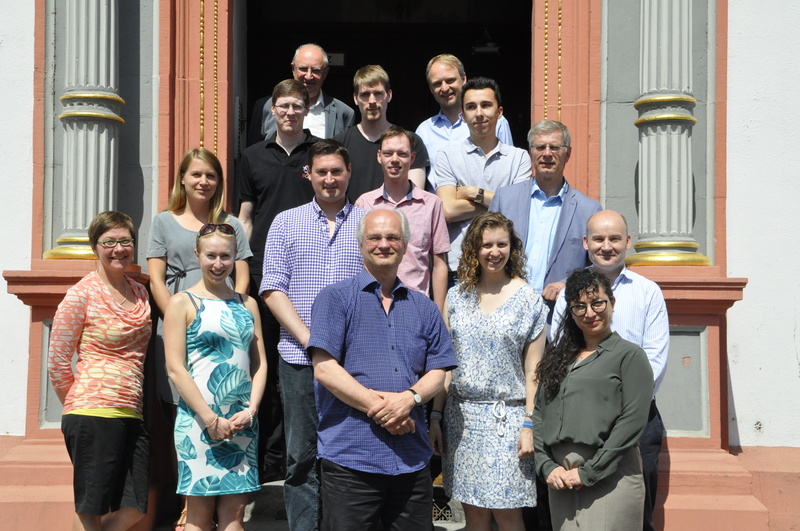 The open-access book is published as volume 5 of Quaderni di Dodis, a publication series of the Diplomatic Documents of Switzerland (DDS) research center. 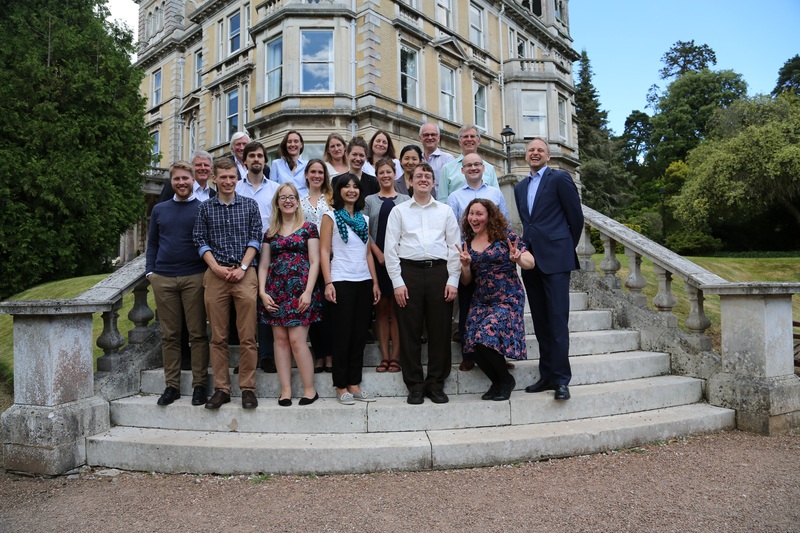 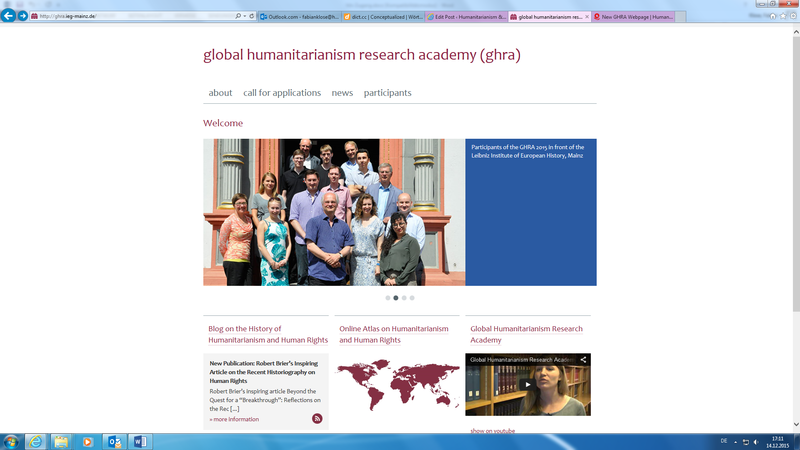 Drs Fabian Klose, Johannes Paulmann, and Andrew Thompson are pleased to announce that the Call for Applications for the second Global Humanitarianism Research Academy (GHRA) 2016 is now open, with a deadline of 31 December 2015. 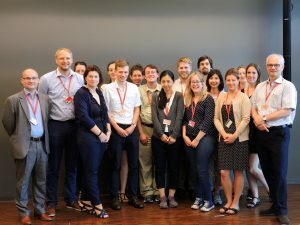 The International Committee of the Red Cross is hosting a two-day conference, bringing together prominent humanitarians and academics to reflect critically on the history of humanitarian action. 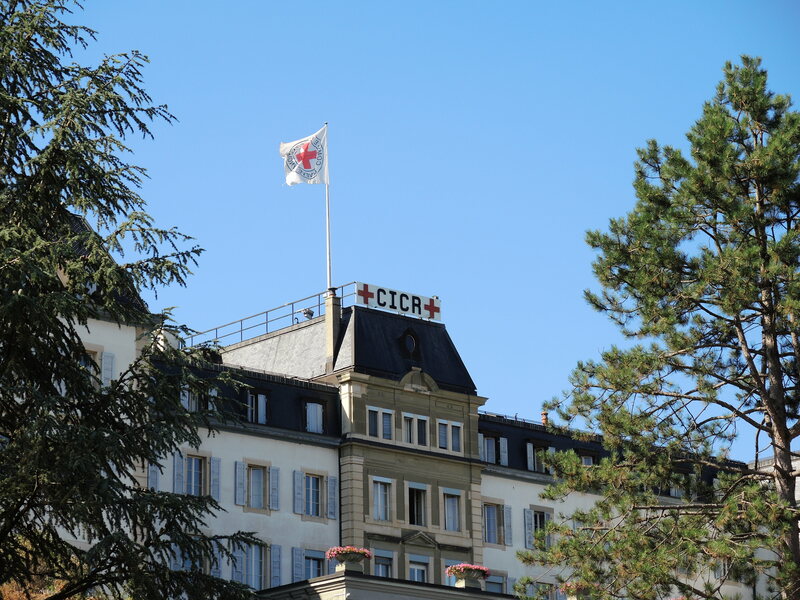 The 16-17 September conference, “Connecting with the Past – the Fundamental Principles of the International Red Cross Red Crescent Movement in Critical Historical Perspective”, will consist of seven panels with around 30 panelists in addition to invited experts. The first night of the symposium will be a livestreamed public conference entitled “Stubborn Realities, Shared Humanity: History in the Service of Humanitarian Action.” It will feature the ICRC’s president Peter Maurer, along with Jane Cocking (Humanitarian Director, Oxfam UK), Sir Michael Aaronson (formerly Save the Children), academics Irène Herrmann (Associate Professor of Swiss Transnational History, University of Geneva) and Andrew Thompson, (Professor of Modern History, University of Exeter), moderated by the ICRC’s Vincent Bernard. 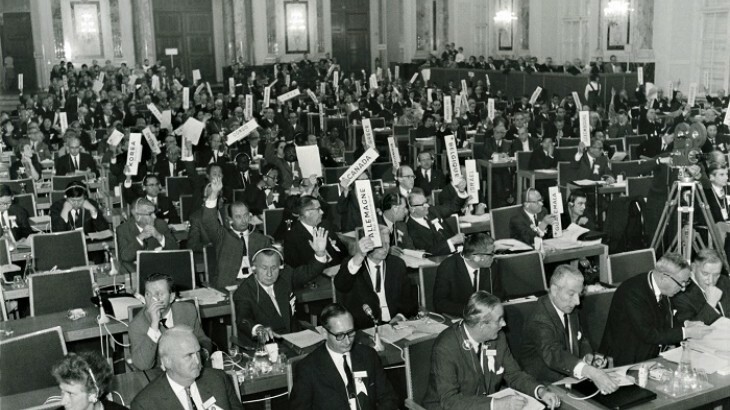 At its International Conference in Vienna in 1965, the Red Cross Red Crescent Movement proclaimed the Seven Fundamental Principles – Humanity, Impartiality, Neutrality, Independence, Voluntary service, Unity and Universality – as the basis for its humanitarian approach. 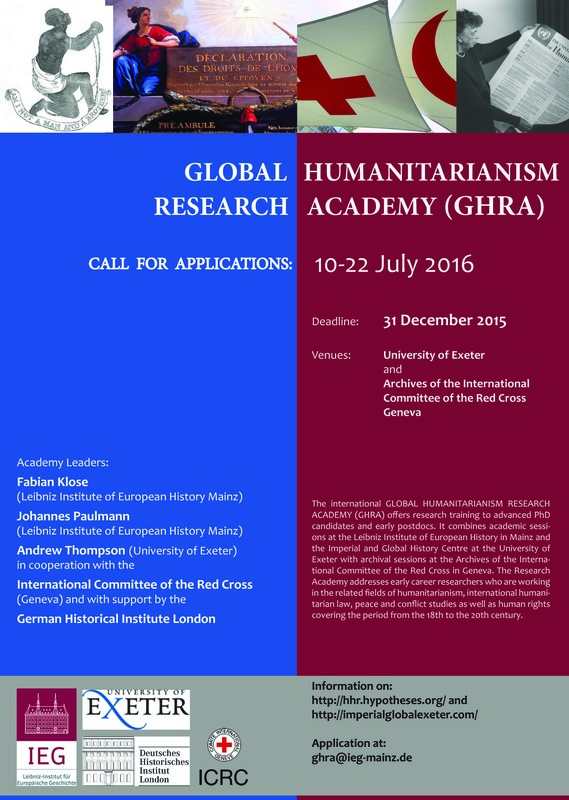 The two-day historical symposium, jointly organized by the UK Arts and Humanities Research Council, the University of Exeter and the ICRC, aims to reflect on the relevance, influence and challenges of the humanitarian principles, from the birth of modern humanitarianism in the 19th century to today. 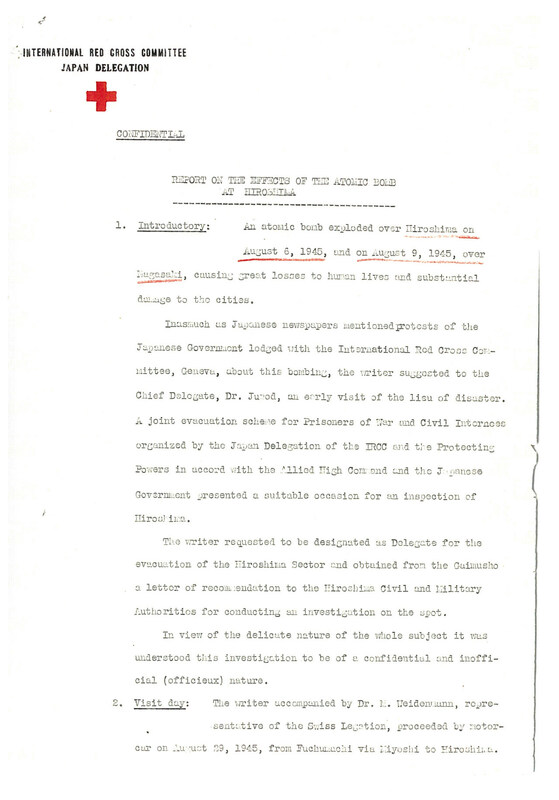 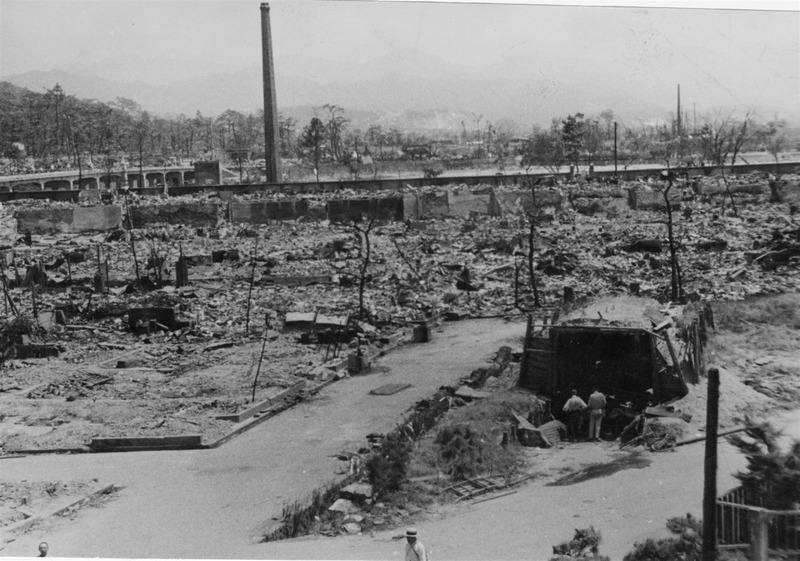 Rapport rédigé en octobre 1945 par Fritz Bilfinger, délégué du CICR au Japon à cette époque, concernant les effets du bombardement atomique sur la population d’Hiroshima. 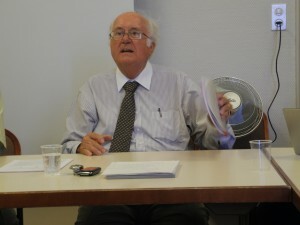 Fabrizio Bensi, Archivist, explained the development of the holdings, particularly of the recently opened records from 1966-1975. The Librarian Veronique Ziegenhagen introduced the library with its encompassing publications on International Humanitarian Law, Human Rights, Humanitarian Action, international conflicts and crises. The ICRC also possesses a superb collection of photographs and films which Fania Khan Mohammad, Photo archivist, and Marina Meier, Film archivist explained. 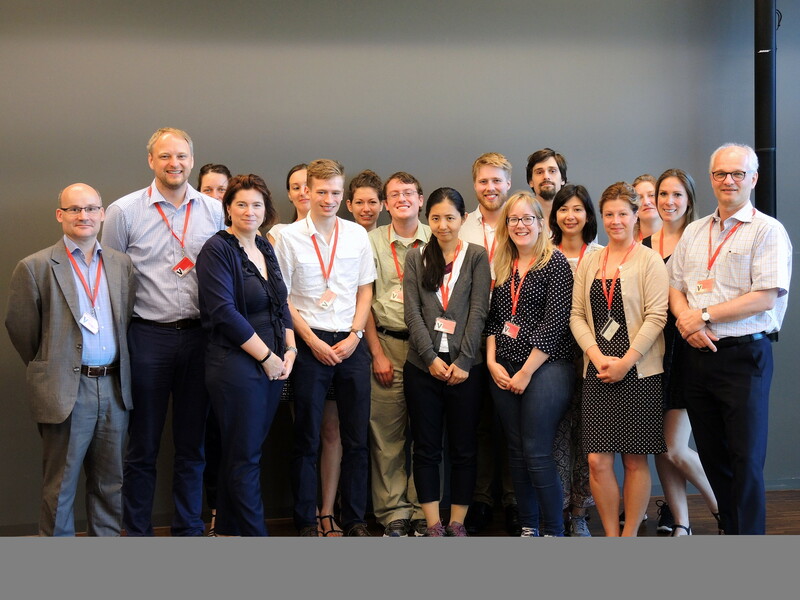 In the afternoon, the GHRA group had the chance to discuss with Jacques Moreillon, Director General of the ICRC between 1984 and 1988. He gave a presentation on his long experience with special insights into Red Cross prison visits with political detainees. Dr Moreillon was one of the ICRC delegates to visit Nelson Mandela on Robben Island and shared his vivid memories with the participants. 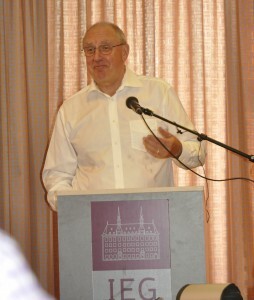 New developments! On the occaison of our second week of the Global Humanitarianism Research Academy (GHRA) 2015 at the ICRC Archives in Geneva we agreed on a cooperation with the ICRC History blog. Thus, in the future you will find essential and topical information on our blog about one of the oldest humanitarian organizations. 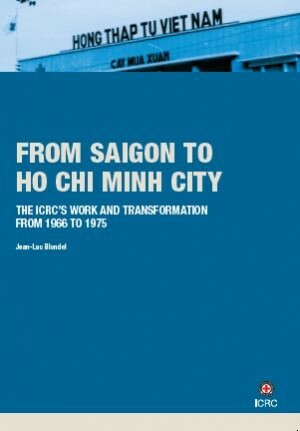 Additionally we would like point to these links which provide further information on the ICRC history. 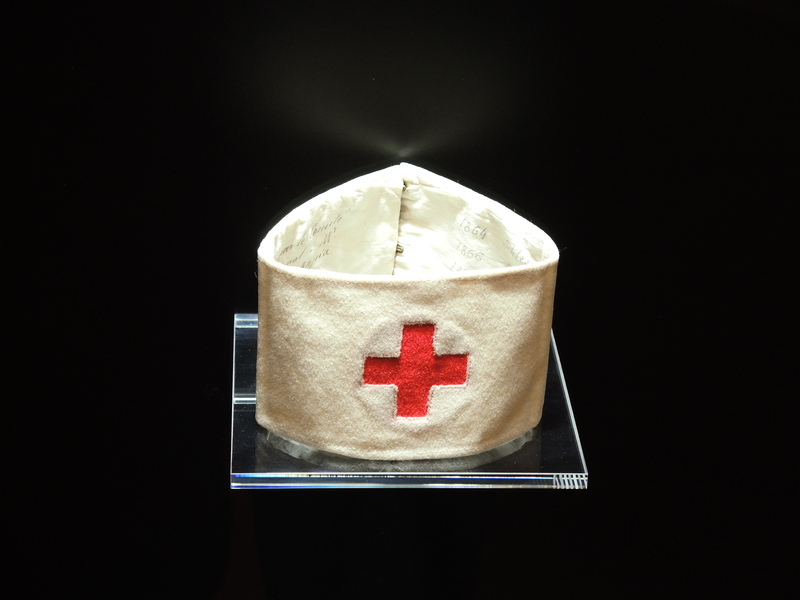 Enjoy discovering the multiple aspects of the rich history of the ICRC!